PTI’s candidates has launched campaign in the halqas of Ch. Nisar Ali Khan. 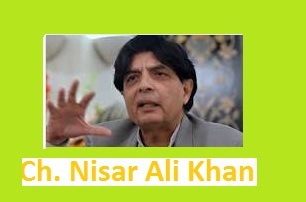 Former interior minister Chaudhry Nisar Ali Khan is contesting from following constituencies. These Halqas are located in district Rawalpindi. Two constituencies are of Punjab Assembly and one is of national assembly. General elections in Pakistan are being held in the month of July 2018. Election commission of Pakistan (ECP) has recommended to hold the election in the last week of July. Polling date may 25th, 26th or 27th. 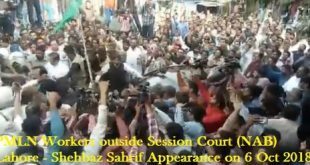 From Tehreek e Insaf following candidates has started their election campaign. From PP 13 Rawalpindi, Wasiq Qayyum. ECP has sent a summary to president of Pakistan for the expected dates of Polling for GE 2018. They are from July 25 to July 27, 2018.